Our beloved mother, grand-mother, great-grandmother, Audrey Holden passed away on April 10, 2015 in Brevard, North Carolina. Audrey was one of three children born to Robert and Muriel Dawson on April 17, 1927 in Worthing, Sussex England. She grew up in Worthing for the most part until the war where children were being sent away from the coast for safety. She returned to Worthing and went to work as an usherette in the Dome Movie Theater. At the age of 16 she met Derrick Holden at the theater and they later married on November 10, 1945. Their first child, James was born in 1947 and in 1950 they immigrated to Calgary, Alberta Canada where her sons Richard and Dale were born. Eventually the Holden family made the decision to move to Santa Barbara after falling in love with the climate while on vacation. Audrey’s love of babies led her to become a foster mother to children of all ages. She and her husband Derrick blessed the family and adopted two of the children they had fostered, Martin Charles who precedes her in death and Sandra Lee. Around 1972 the family moved to Northern California where Audrey worked as a seamstress. After many years, she decided to move to the Ventura/Oxnard area where she continued working as a drapery seamstress. She would later move to Ojai and volunteered at the Ventura County General Hospital and volunteered regularly at the Ojai Food Share and helped box food for the needy. Audrey enjoyed the companionship of her friends and neighbors in the complex where she lived, and her precious pets, Angel, Beeper and Sam. As it became increasingly difficult for Audrey to live on her own, she moved in with her son James and his wife Julie and spent time at the Friendship Center in Montecito where she enjoyed participating in the activities they offered. In 2009 Audrey moved to Greenville, South Carolina where her son Dale and his wife Paula resided, then in 2010 Audrey moved to Brevard, North Carolina where she was a resident for 5 years at the Kingsbridge House Assisted Living Facility. Audrey was sweet soft spoken women who always had a smile on her face and a very dry sense of humor. Throughout her life she loved animals, walking, nature and helping her fellow man. 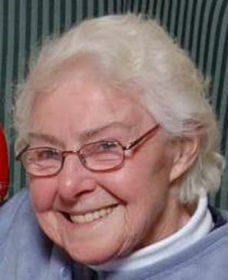 Audrey is survived by her children and their spouses, James (Julie); Richard (Dottie); Dale (Paula); and Sandra Holden plus eight grandchildren, Marc Holden; Kelly Harvey (Nick); James Casad; Mallory Underwood; Allison Gerrald (Martin); Tymika Lopez; Shania Lopez and James Lopez as well as 5 great grandchildren. She also leaves behind her brother Ted Dawson (Amy) and numerous nieces and nephews in Canada and England. Audrey who graced this earth with her presence will be missed greatly by her family and friends and all who knew her. The family plans a celebration of Audrey’s life at a later date and asks that in lieu of flowers please favor a donation to the Alzheimer Association or your favorite charity.